The world in Abandon Ship is in turmoil. Since the collapse of a dominant faction, lawlessness prevails. Into this vacuum a new power is rising: The Cult of Haliphron. The Cult worship ancient sea monsters. Their ultimate goal is to consume the entire world, bringing enlightenment to everyone, whether they want it or not. The origins of the Cult and the main character’s connection to them are explored in the game. For now, it’s enough to say that the Cult is after you and will stop at nothing until you’ve been brought back into the fold. 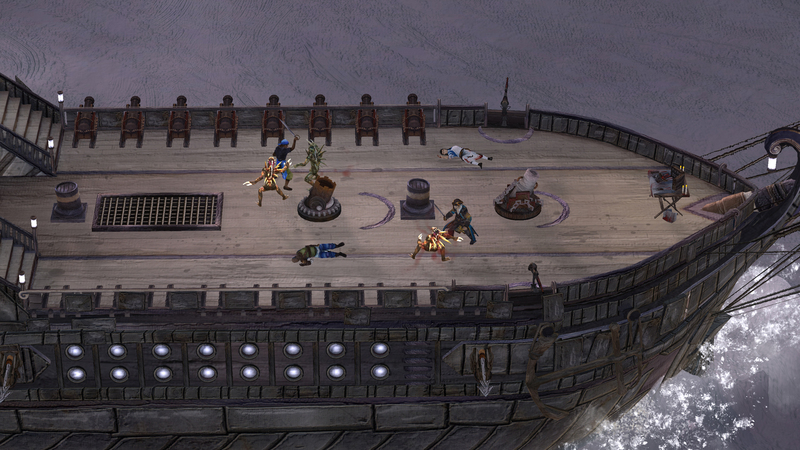 From small vessels through to the largest Man O’ War, the Cult Fleet will constantly hound you. Each Cult ship is captained by a Cult Leader, one of the true fanatics to the cause. They will never surrender, or give up. Fending off a boarding action by Haliphron. The Haliphron are man-sized aquatic creatures. Still regarded as mythical in some areas (parents tell unruly children to behave “or the Haliphron will get you”) – they are a very real threat, and the reason many lone sailors disappear on dark and stormy nights. As the Cult has gained dominance, these creatures have returned in force and actively hunt you. They can swim through the water, boarding your ship without warning. Haliphron have even been known to wait on Cult vessels, diving into the water and swimming across like a torpedo, to board unsuspecting ships at long range. Even upon death, the Haliphron can be deadly. Special red-skinned variants can explode into a pool of acid upon their demise; a dangerous parting gift to non-believers. 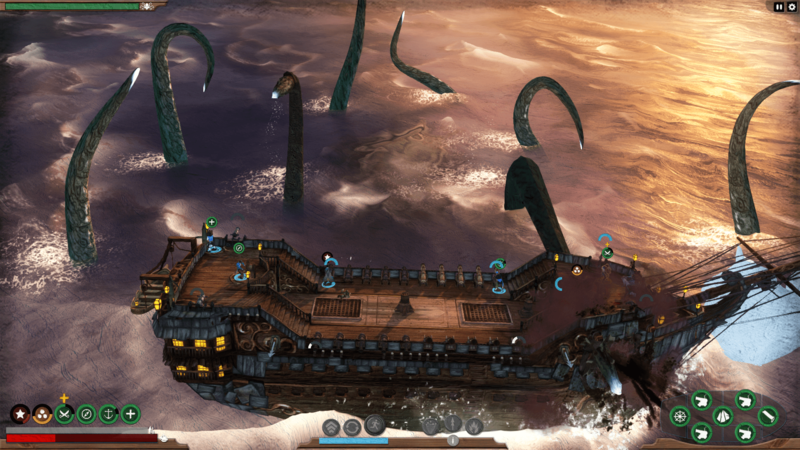 The Kraken represents the top of the food chain in the world of Abandon Ship. When the Cult resurrects one, it kick-starts their takeover attempt. After all, with a mythical sea monster prowling the waters, who can stop them now? 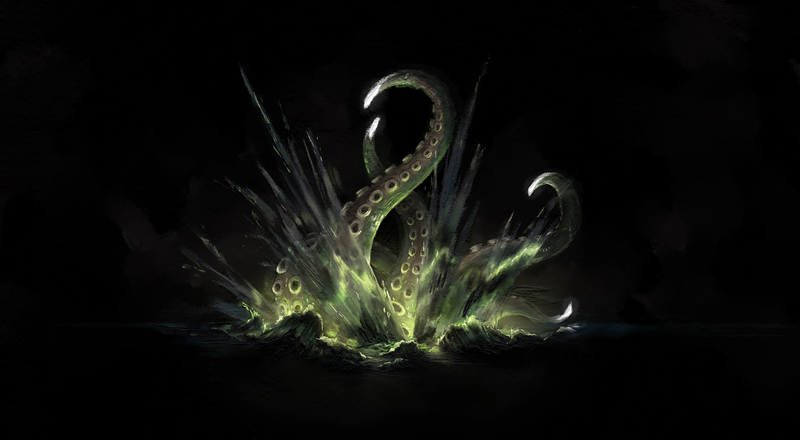 In the game, the Kraken is one of the creatures that hunt you. Initially, you do not have the means with which to kill it, so have no choice but to escape and flee. If you can acquire the right tools to make it surface, you can finally go toe-to-tentacle to decide who rules the waves. While the Cult is not the only adversary you face in the game, they are an ever-present danger. 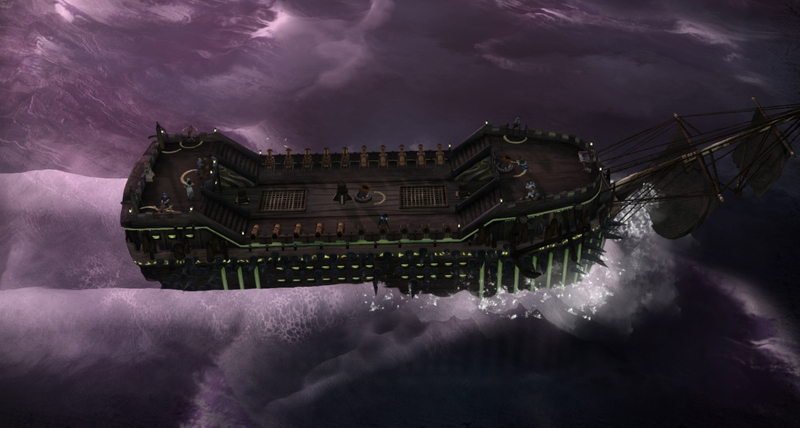 In some areas, after a certain amount of time, they will dispatch either a high-level ship, some Haliphron or the Kraken to chase you. You can delay this by defeating Cult vessels, or if you decide to flee these events, they will hone in on your position faster. Pursued by a Cult ship. Once you reach a certain part of the story, there are many Cult targets to take out, from Ports you have to liberate, to vessels carrying slaves. 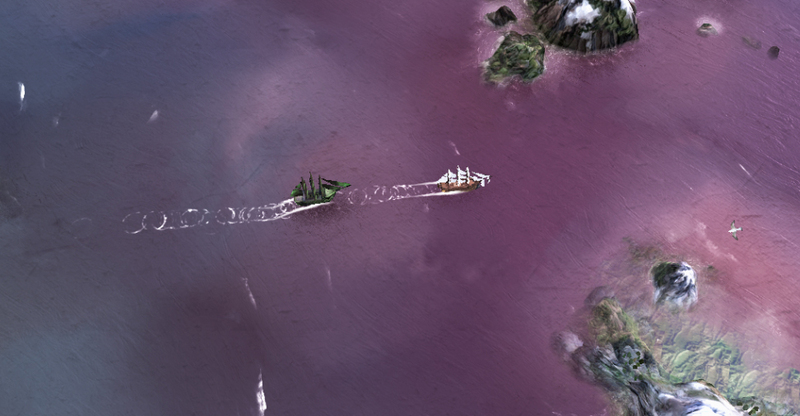 Do you take out their crew, or sink them, thus condemning their innocent human cargo to a watery grave? 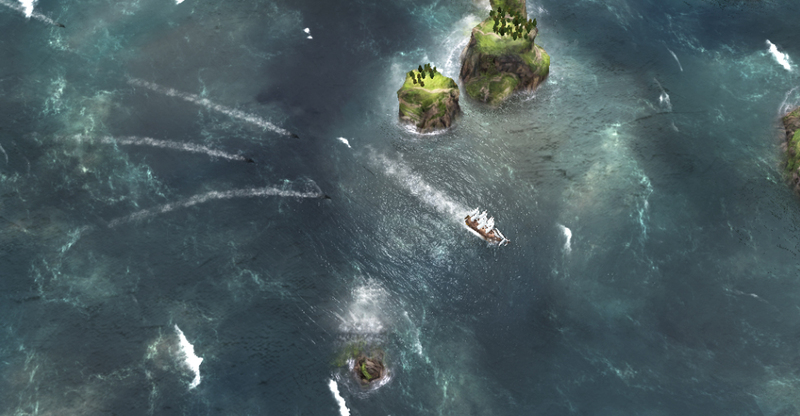 Right from the start of development, we knew we wanted to include battles against giant sea monsters. 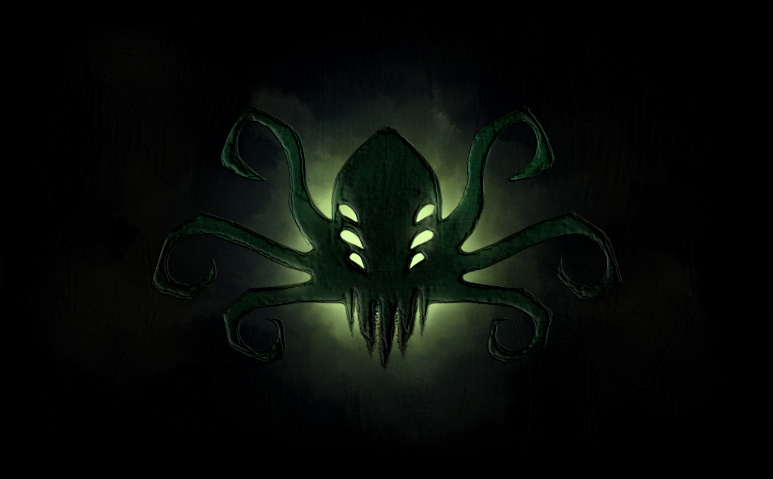 The Kraken was always our first choice of monster to create because that mental image of a giant cephalopod taking down a ship is a very evocative one. At the same time, we were thinking about a mechanic where the player would be boarded unexpectedly from the sea. We knew we wanted the feature, but needed a dressing for it. This train of thought led to a race of squid-like bipedal creatures. 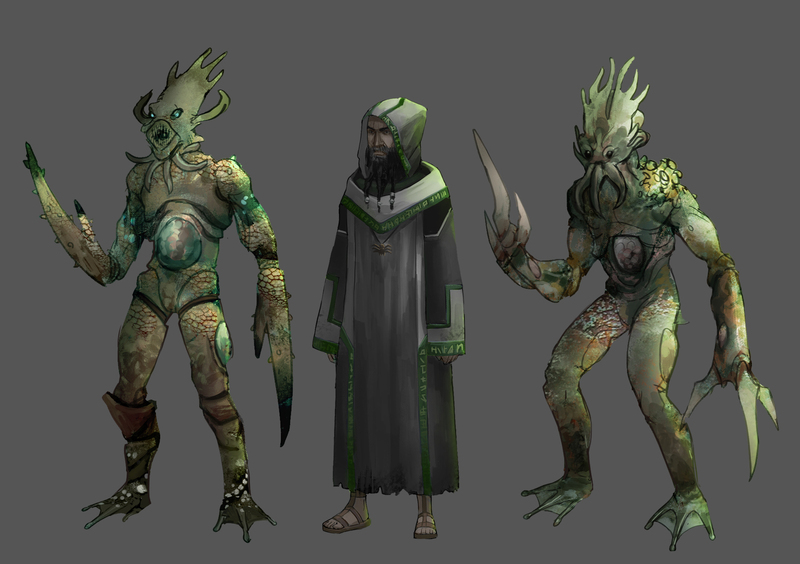 There was also a desire to have a faction that would serve as the primary antagonist throughout the main story, and these different elements came together to form a Cult that worshipped these grotesque monsters. Without revealing too much about the story, you can probably guess it has some Cthulhu-esque influences. The Cult worships these aquatic beings, that are off-shoots from a larger monster (the Kraken). If you’ve been paying attention to our previous trailers, you’ll have seen us hint at something bigger, too. When it came to finding a suitable name for the Cult, and the creatures they worshipped, we went through the Latin names of deep sea creatures. Once we had pulled out a collection of names that sounded ominous, we put them through the “what comes up in Google Images if you search for this term” test. When designing creatures, we’ve always thought that if the results are a good approximation for the idea in your head, it’s a compelling result. We then embarked upon creating concept art for these, the results of which are shown below. Concept art of a Cult Leader, flanked by Haliphron. One last warning about the Cult. Even when you think you defeat them, they have an uncanny knack of coming back stronger. As you’ll find out, there is certainly more to the Cult than it initially appears.